Not all lettuce is created equal. Known as a favorite of both market growers and home gardeners, Parris Island is heat tolerant with fair bolt resistance. 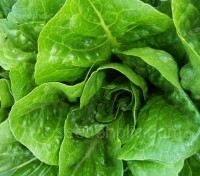 Packed with tender, deep green leaves they are more nutritious than other lettuce and a gourmet favorite. Organic Seed. 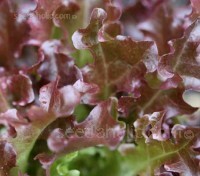 “Red Salad Bowl” is a large fast growing rosette lettuce with very pretty burgundy-red crimped leaves.This award winning variety produces large, slow bolting, non-heading plants with sweet, succulent leaves. Sow successionally from March to August for harvesting April to October. “Red Salad Bowl” is a large fast growing rosette lettuce with very pretty leaves.This award winning variety produces large, slow bolting, non-heading plants with sweet, succulent red leaves. Sow successionally from March to August for harvesting April to October. 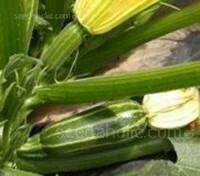 Marrow F1 Bush Baby is a baby marrow variety bred to satisfy demands for a smaller marrow. Plants have a compact, bush type habit, the fruits grow to three quarters the size of a standard variety. Ideal for growing in smaller gardens or in containers. Marrow ‘Tiger Cross F1’ relatively new bush marrow that produces a uniform crop of attractive green striped fruits. 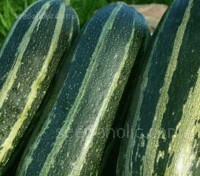 It is an early maturing type producing tasty courgettes or can be allowed to mature to produce delicious stripy marrows. Organic Seed. 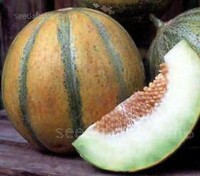 With intoxicating aroma and flavour, the Ogen Melon has a long history of devoted connoisseurs. The plant delivers high yields of small, broad, oval fruits,15cm in diameter. Extremely juicy the fruits have an incredible, almost tropical flavour. RHS AGM. Veteran gardeners are probably already aware of nepeta’s versatility in the garden. From its popular partnering with roses to the softening effect it has on hard edges. 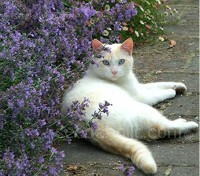 Nepeta is an ideal perennial for new gardeners and, of course, cats adore it. 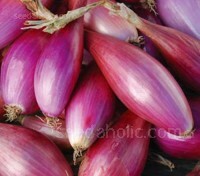 A splendid carmine-red onion Long de Florence Simane is an old continental variety that is very popular in Europe. Elongated in shape, this maincrop variety can be picked still small and used raw sliced into salads or grown to maturity, they can be baked or roasted on skewers to retain their unusual 'bottle' shape. Red Baron is a well known and very popular mid to late maturing variety. It is extensively grown for its for its attractive 'blood red' colour. With good skins and thin necks, it is popular for over-winter storage they will keep until your new crop is ready to harvest. Red Baron is a well known and very popular mid to late maturing variety. Easy to grow, an excellent cropper and good for over-winter storage, it produces beautiful globe shaped, firm, well flavoured bulbs with good skins and thin necks. Maincrop, Overwintering, White Bulbing Onion. 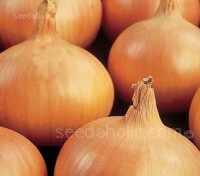 Sturon is an excellent, standard maincrop variety, producing high quality, juicy-fleshed bulbs.The main variety for onion set production for many years, it is a very flexible dual purpose onion which offers good resistance to bolting. RHS AGM. Organic Seed. 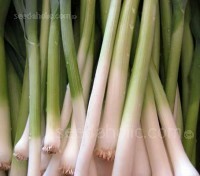 Bunching onion “Ishikura” is a outstanding variety of that does not bulb but forms long white stalks. It is a perennial variety that is cold hardy, very adaptable to various climates and resistant to pink root and botrytis leaf blight. It is suitable for later crops and for overwintering. Onion 'F1 Guardsman' is a recently introduced, very distinct and innovative variety which combines a lack of pungency with minimal bulbing, so the stems stay straight and also have a sweeter flavour. RHS AGM. 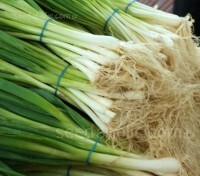 Onion 'Ramrod' is a distinct salad onion which has proved itself in the market place. 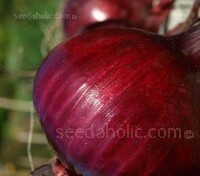 This versatile onion is winter hardy and a good variety for drilling in the autumn. Use for both spring and autumn production. RHS AGM. 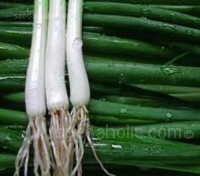 White Lisbon is an old favorite and ever popular Spring Onion. 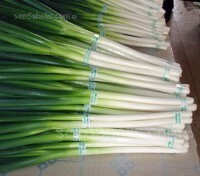 It is a hardy and reliable variety which features long white stems with bright green tops. 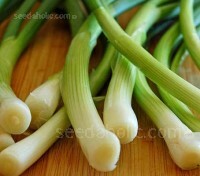 It is quick and easy to grow, sow in autumn or spring, Cropping in 60 days. NIAB Accreditation and RHS AGM. White Lisbon is traditionally the most popular spring onion for successional sowings from March to September, it can also be sown in autumn and over wintered for early spring harvests. Matureing in 60 days, they are perfect for container growing and can be tucked into mixed containers or beds. Curled Leaf, Triple Moss Curled. 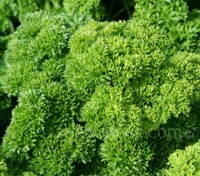 Parsley Bravour is an outstanding variety of moss curled type. Suitable for spring, summer and overwinter use. With exceptional flavour, the long stemmed vigorous plants have tightly curled heads of good colour and texture. RHS AGM. 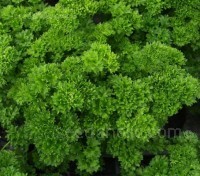 Parsley 'Champion Moss Curled' is a selected strain with fine, tightly curled, dark green leaves. Growing to 30cm tall, this versatile herb is an ideal variety for containers, it can also look very ornamental as an edging to a large pot of nasturtiums! RHS AGM. 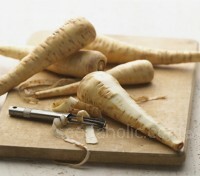 Parsnip F1 Gladiator is the original 'designer' parsnip. Bred to be fast maturing, high yielding and resistant to canker, the roots have a shallow crown with smooth, tactile, white skin with a slightly sweet and fresh nutty flavour. Graded Seeds. An outstanding hybrid variety, 'Palace F1’ produces high yields of smooth, uniform, very white roots. 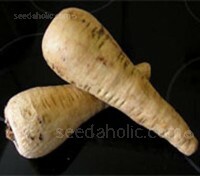 A maincrop variety with shallow crowns and a wedge bayonet shape, Suitable for cropping mid September to early April. Primed and Graded Seeds. 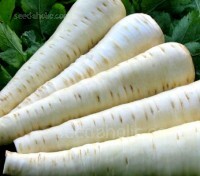 Parsnip 'Tender and True' is a popular variety which forms long roots of high quality that are at least 3in wide across at the top. With good resistance to canker it is probably one of the best flavoured varieties to use for both the kitchen and exhibition. Pea ‘Ambassador’ is a robust growing, short-vined pea that produces masses of large, blunt-ended pods containing up to nine sweet and tender peas of great quality. With outstanding resistance to mildew it is ideally suited for sowing late in the season. Pea ‘Ambassador’ is a robust growing, short-vined pea that produces masses of large, blunt-ended pods containing up to nine sweet and tender peas of great quality. With outstanding resistance to mildew it is ideally suited for sowing late in the season. Organic Seed. 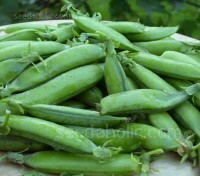 Pea 'Early Onward' is a widely grown, long-standing favourite. A wrinkle-seeded variety with blunt well filled, dark green pods. It is short jointed with vigorous growth. 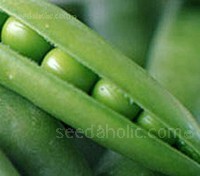 Heavy cropping it yields of 6 to 8 peas per pod of sweet tasting fine flavoured peas.